NEW YORK – UN Secretary-General Antonio Guterres called, on Wednesday, for a “peaceful and democratic transition” that reflects the aspirations of the Algerian people, praising the calm and respect shown by the Algerian people in expressing their desire of change. “The Secretary-General salutes the calm and respect shown by the Algerian people in expressing their desire for change,” said his spokesman, Stéphane Dujarric, in a press statement made public the day after the resignation of the President Abdelaziz Bouteflika. Antonio Guterres “wants a peaceful and democratic transition that reflects the desires of the Algerian people,” he added. Following the resignation of Bouteflika, “the Secretary General reiterates the UN’s continued commitment to support Algeria in its process of democratic transition,” said his spokesman. 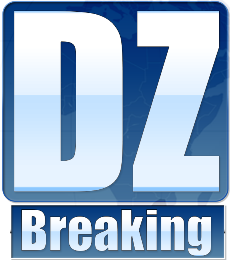 President Bouteflika officially notified the President of the Constitutional Council, on Tuesday, of his decision to end his term as President of the Republic. Next articleHas new Minister of Culture Meriem Merdaci resigned?